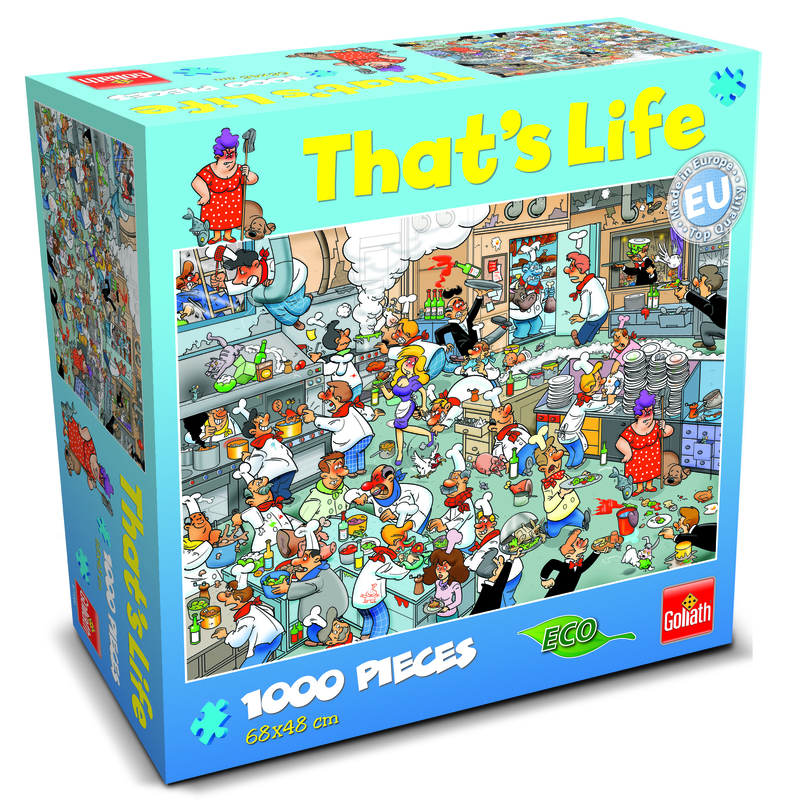 That’s Life 1,000 Piece Puzzles are fun and chaotic! 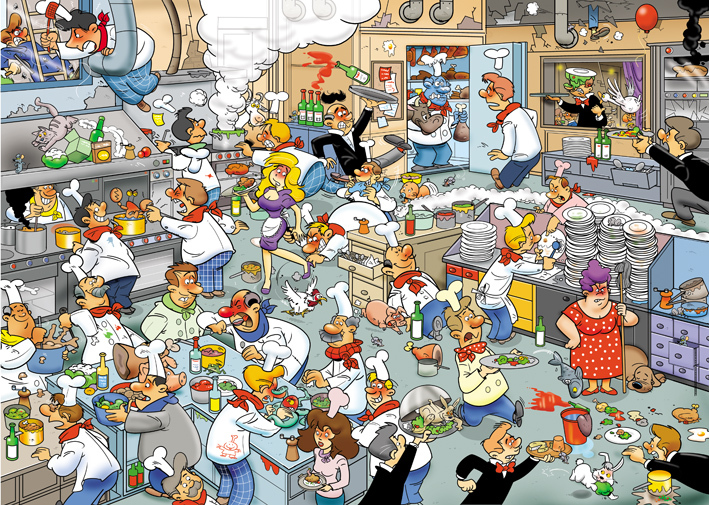 Featuring a classic kitchen scene with ovens, chefs and lots of mess! It’s a puzzle right out of life! Put it together yourself or make it a family affair – either way, it promises loads of fun! Suitable for novice and expert puzzlers. For 1 Player, Aged 12+. Goliath Games was founded in 1980 and is an international manufacturer and distributor of toys, games and puzzles. Crown and Andrews Pty Ltd, its officers and employees assume no responsibility in relation to the use of this website or the information contained in it. The information accessible through this website contains large quantities of information which has been entered manually and inevitably errors and inaccuracies occur in such a process. Our Internet Service Provider makes a record of your visit and logs the following information for statistical purposes – the user’s server address, the user’s top level domain name, the date and time of visit to the site, the pages accessed and documents downloaded, the previous site visited and the type of browser used. The statistics and log files may be preserved indefinitely and used at any time and in any way necessary to prevent security breaches and to ensure the integrity of our web page. We will only record your email address if you send us a message or submit a form or nominate to subscribe/opt-in. It will only be used for the purpose which you have provided it. We will not use your email address for any other purpose and will not disclose it without your consent. Incorporated into this website are links to the websites of other organizations and businesses. The links we have incorporated do not and should not be taken as implying an endorsement or approval of the content of those websites or the businesses operating those sites.